Well aware that companies in today’s competitive marketplace cannot hope to dominate by relying solely on blotting out the sun with delivery drones, Amazon has hatched plans to supplement its plot for totalitarian customer satisfaction with “anticipatory shipping,” which will send you things Amazon just thinks you want. This past weekend, Amazon obtained a patent for this innovative system of fulfilling orders that haven’t technically been placed yet—a strategy that might not only reduce the delivery times you would otherwise spend anxiously watching the skies, but also eliminate the tedious “free will” that can delay shopping transactions. Instead, those choices will be made for you by Amazon, which will use various factors to predict what sort of things you might buy: your previous searches and purchases, your wish list, “how long the user's cursor hovers over an item online,” a room of customer service precogs floating in a pool of amniotic fluid, etc. And, not wanting to rely too rigidly on the interests of its fickle users or the psychic abilities of vegetative mutants, Amazon is also considering shipping items “speculatively,” in which it will send you stuff it just thinks you should have, because it thinks you're special. And while all this thoughtfulness might obviously lead to packages being refused and returned, Amazon doesn’t seem overly concerned. 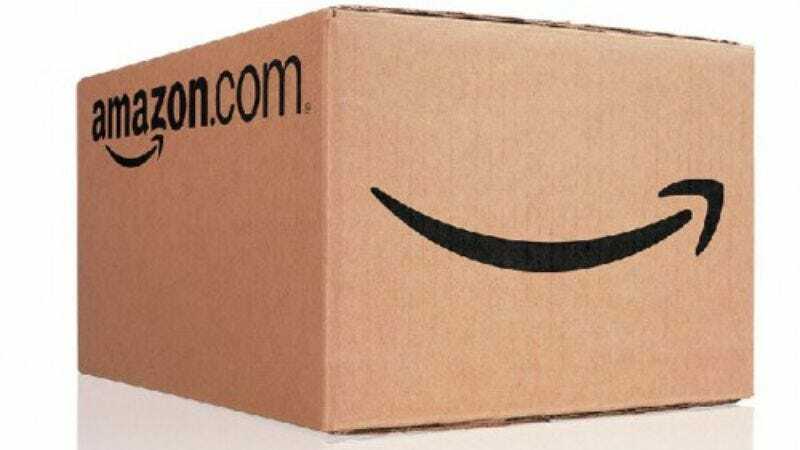 The patent says Amazon believes that “delivering the package to the given customer as a promotional gift may be used to build goodwill,” similar to the successful strategies adopted by that persistent, would-be lover who kept leaving you strange things in the dead of night and to whom you are married now. Indeed, when you open the door to find a whirring Amazon drone laying an unexpected package on your doorstep, that cryptic smirk on the box letting you know that Amazon has been thinking about you, it would probably behoove you to just open it and be grateful. You don’t want to hurt Amazon, right?